One of the most valuable skills that a driver can possess is the ability to sell themselves as a great employee. In order to land that ideal trucking job, one doesn’t just need experience, they also need to be able to explain to a trucking company why they would be a great candidate for their culture and why they should be trusted behind the wheel of a big rig. However, before a driver can explain to a potential employer why they would be an invaluable resource to their company, they must first be able to get their foot in the door and appear to a recruiter as a valuable hire. The most practical way to do this is to work on one’s resume. And while it may be somewhat of a tedious practice, it could ultimately bolster one’s career to the next level and find a driver the position they have been dreaming about. Some drivers may say that working on their resume is a waste of time or perhaps even a task that does not correlate to their job. While many people across all industries can agree that developing one’s resume is never a particularly entertaining task, it is nonetheless a necessity in advancing one’s career. 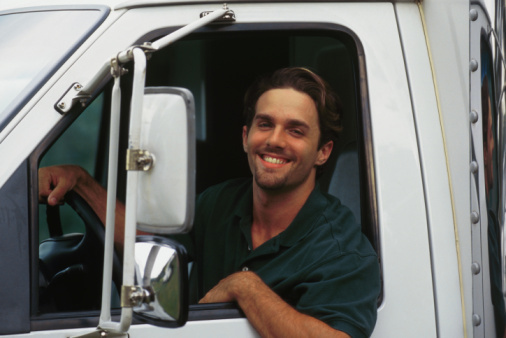 And though many trucking companies have moved their application process to an online format, there are still many fleets that require prospective drivers to include a resume with their application and encourage drivers to include more information about their professional career in order to give an employer a better idea of who they may be hiring. Furthermore, there are still many trucking companies in an area like Michigan that recruit the old-fashioned way – with an open house and a recruiter behind the desk ready to shake the hand of a professional on the road. It is always a good idea to keep a current and updated resume on file for any truck driving job openings that may come up. Don’t Just Say You Drove: If you are applying for a trucking position that is anything other than an entry-level trucker job, chances are that a recruiter is intelligent enough to know that you have some experience on the road. Rather than stating the obvious, tell a recruiter about the types of runs you may have completed and what challenges you overcame on the road. If you regularly tackled the 101 in California, tell an employer about that feat. Talk About People Skills: Recruiters and trucking companies alike are constantly commenting about how drivers are extensions of the company by virtue of sporting the company’s name. In this sense, drivers are also often considered customer service representatives. Use your resume to show your people skills and how you may have established positive relationships with customers. Position Yourself As a Professional: Trucking is no easy matter, and very few trucking companies will turn their nose up at a driver who clearly has a demonstrated presence on the road. Whether you are an OTR driver working in Texas or one who makes local runs in a far-flung location like Miami, Florida, it takes a lot to show professionality every time you get behind the wheel. Speaking to your diligence and commitment to the job is key. There are many other ways in which drivers can bolster their reputations, but one should consider focusing on what work history or personal skills have allowed them to continue to be a professional. It’s one thing to keep track of your various positions and job, it’s an entirely different matter to understand what was important about those positions moving forward. If you find that you may be in a situation where you can think of nothing else to put for a position other than the types of runs you went on, consider speaking to the fleet manager of a company you worked for (if you can still get a hold of their contact information) and ask them about some extraordinary points of the job that you may have overlooked. Similarly, if one has the ability to speak to old trucking coworkers, colleagues, or team partners, consider picking their brains in order to see what they may have found to be especially remarkable about the job. Sometimes it can be difficult to commit to paper the number of accomplishments and achievements that one has gone through in their driving career. Speaking to someone else in the industry can give a driver another outlook that helps them better qualify the career. How Many Jobs Is Too Many Jobs? A veteran driver may have found themselves in a position wherein they migrated from several different trucking companies due to one reason or another. In many cases, the reason in which a driver might move from one position to another can be pinned on a fleet themselves rather than a driver feeling fickle or moving careers simply for the sake of moving careers. However, there may be some red flags that come up when a recruiter is looking at the work history of an interviewee, and drivers must be aware that this discretion displayed by an employer is somewhat justified. While no driver is expected to start their career in trucking at one location and then finish up at the same spot, moving around erratically from year to year or month to month makes it seem as though there may be a pattern that leads to a problem with the driver rather than a pattern of trucking companies that mistreat their drivers. While you should not falsify information on a resume or be deceptive when applying for a job, it is also important to be aware of how a resume might look with a scattershot of positions and company changes throughout their work history. The above may be advice that is more preventative than anything else, but ensuring that you maintain a career that exemplifies stability and responsibility is paramount to success in finding future careers. Do you recall the days before you entered the world of big rigs and had to come up with a list of references (outside of your family and friends) to vouch for you and let an employer know that you are a hard worker? It may not be so far away for some, but for others, driving has been a substantial part of their life. Not many trucking companies will ask for 2-3 references in order to get a judge of character. In fact, many will simply look at one’s past employment and base any further references off of those entries of positions. Bearing that in mind, these entries will serve as valuable resources when a recruiter is verifying your past. They may even call an old employer or manager to get an idea about how conscientious a worker you are and find out more about your duties at a certain company. If you are a United States Veteran, let the company you are applying with know. Many trucking companies are thrilled to offer positions to our men and women who have served, and there are programs in place to make the transition to trucking somewhat easier than it may have been in the past. Rather than being frightened by this prospect of tapping past employers, a driver can look at their work history in a more positive light. Some past employers may have outstanding things to say about you as a former employee, and can extol the benefits of your driving expertise, giving a truly professional opinion regarding you as an industry professional. It may seem like somewhat of a pain for drivers to have to balance another professional aspect of their career on top of driving itself, but maintaining an up-to-date resume is one of the most important things a driver can keep up to date with whether they are currently searching for a position. Even drivers who are happy with their job at the moment should consider keeping some sort of resume on hand should the perfect networking moment arise. Drivers are some of the most intelligent and reactive workers in the country and many of them know a good job opening or career advancement opportunity when they see one. Because of this, it’s vital that our modern truckers have the formal tools at their disposal in order to stand as a viable job candidate. Don’t let the potential aggravation that may come with creating a resume stand in the way of you crafting one to begin with. Take the time to plan one out, talk to other professionals in your industry and come up with something that sells you as the trucking all-star that you know you are.